This is something a bit different for me today as Indenture is a short book of poetry. 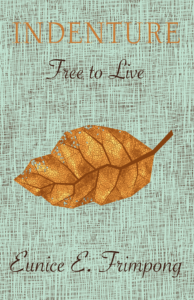 Indenture: Free to Live by Eunice E. Frimpong explores far-ranging themes including wealth, addiction and purpose, to challenge our perceptions of enslavement in the present era. …you walk care free, what about me? I don’t read much poetry so I have very little to compare Indenture to. I do want poetry to be accessible though and by and large the poems in this short collection are. There are just nine poems to choose from. I rather liked the first one about a green leaf. The theme of the poems is one of modern day enslavement. I can see in the green leaf poem that the enslavement might be one of looking at your peers and wondering why you’re not the same but that’s just my interpretation. In other poems I think I recognise feeling enslaved by your feelings for somebody, being enslaved by food, forbidden liaisons and fear, amongst others. I’m sure somebody cleverer and deeper than me could find hidden meanings and metaphors in the poems. I simply took them at face value, reading the words and taking what I could from them. Indenture is an interesting collection. If you enjoy poetry and you like to investigate the meaning of the words rather than it simply being spelled out for you then this could be a collection for you. With thanks to Rachel Gilbey at Authoright for the place on the blog tour. And please do have a look at the other blogs taking part. 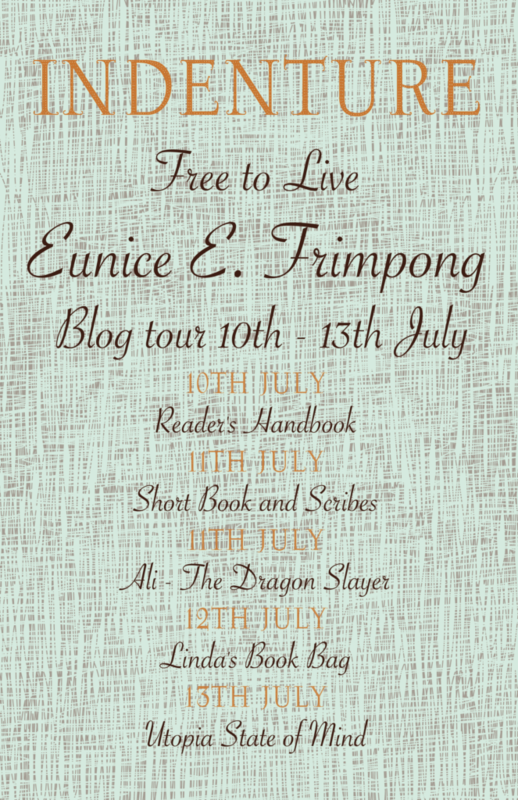 Originally born in Ghana, Eunice E. Frimpong came to live in London as a child. She attended the University of Manchester and abroad at the University of Missouri where she studied history and became more involved in her Christian faith. She has worked as a teacher to children with special education needs and disabilities and still works as an educator in London. This is her first book. Found your coverage of Indenture interesting. Poetry rarely gets much review space alongside novels. Thank you very much, Philipa. It’s a first for me but a nice change.